Make your way through a ransacked lab as part of a clean-up and disposal detail to find the source of an outbreak that has left hundreds turned into the undead. Figure out what catastrophe happened in what used to be a state-of-the-art laboratory and navigate through zombie-infested rooms, morgue, and rotting basement in search of a cure for the 'Alpha Strain', a gene altering substance meant to enhance soldier DNA, that turns humans into vicious zombies. As part of the force meant to stop a worldwide outbreak, you will make your way through the ransacked lab, ruined morgue, and rotting basement of Chemacorp, a company that was once the global leader in biotechnology, and work your way through zombie-infested rooms in search for the source of the Alpha Strain, and hopefully find the cure! The building is on lockdown, and the only way out is through an emergency exit on the other side of the compound! 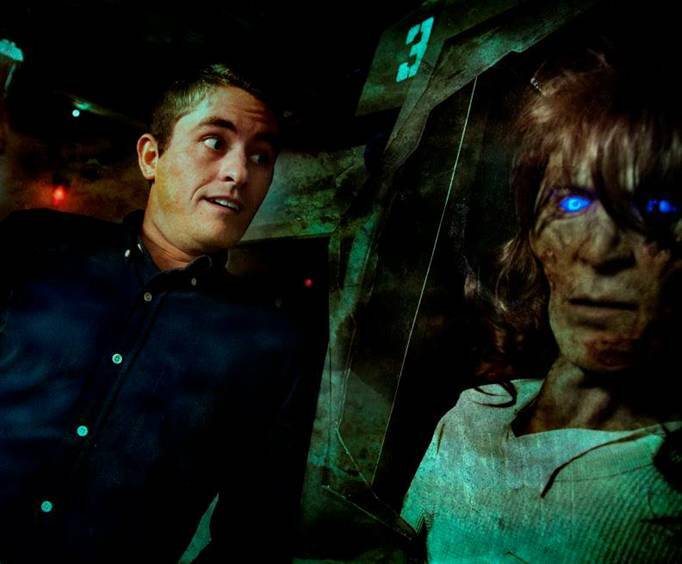 Featuring high-quality sets, state-of-the-art special effects and animatronics characters, this is a fantastic, high energy activity for any horror lover in your group, so don't miss out on this one-of-a-kind fright fest! 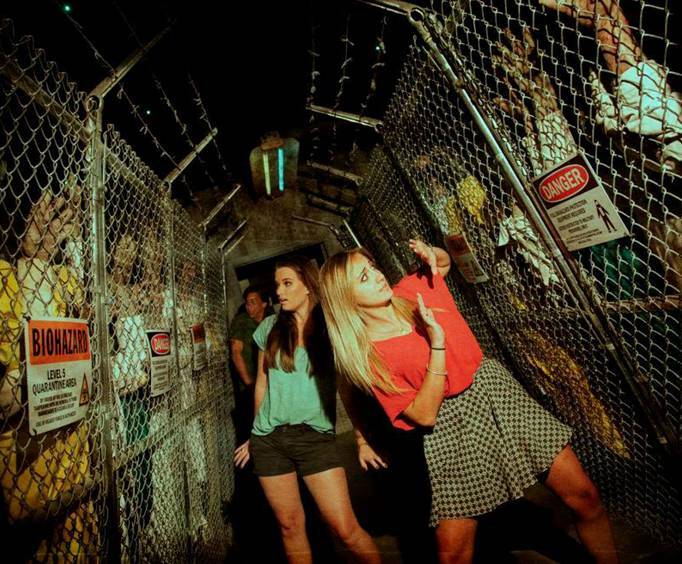 Your admission ticket grants you the opportunity to not only experience all of the fun at Outbreak - Dread the Undead, but also the Castle of Chaos, Hollywood Wax Museum, and Hannah's Maze of Mirrors. 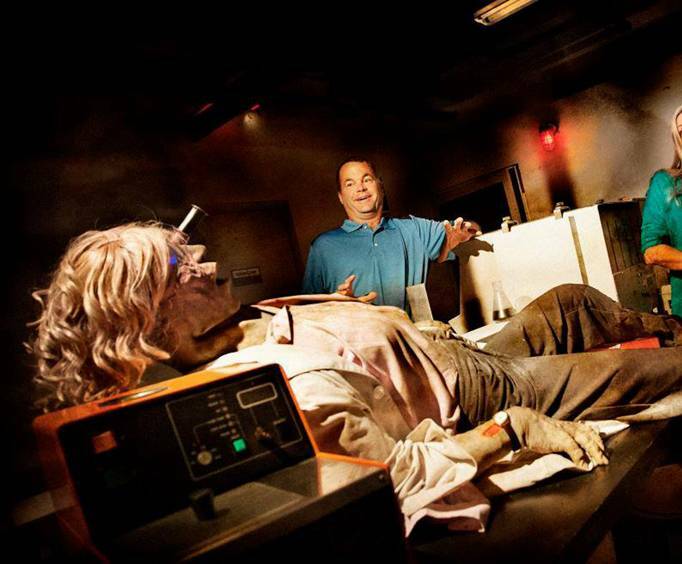 What is included in the admission price for Outbreak - Dread the Undead? Includes Outbreak Dread the Undead activity. Is Outbreak - Dread the Undead handicap accessible? For what ages is Outbreak - Dread the Undead appropriate? Is parking available at Outbreak - Dread the Undead? Is it free?